​Oriental area rugs are not only a decoration piece but also a considerable investment and, as such, it's advisable to get them padded in order to keep them protected for a long time. Our specialists provide various kinds of padding that can complement any type of rug, whether it's a camel hair rug or an antique. We also use eco-friendly padding for environmental enthusiasts and can also provide customized padding for designer rugs with distinct shapes. 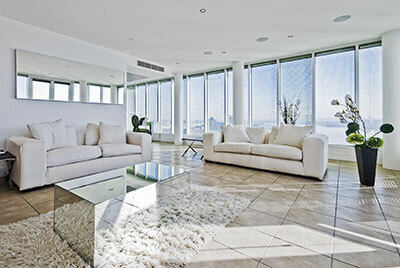 Rug padding provides the rug with enhanced insulation in extreme temperatures. It provides the rugs with extra cushioning that enables the rug to support heavier decoration pieces and furniture. It also prevents area rugs from slipping when you move the furniture above them. Most importantly, it helps preserve unique area rugs and makes them last much longer. 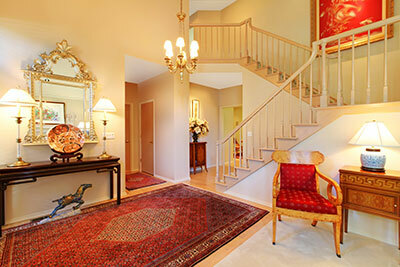 Rug padding is especially recommended for rugs that are very light in weight and slip a lot when walked over. In this situation, rug padding helps prevent these area rugs from moving around, which could damage them – some rugs are made of a very delicate fabric that can easily be damaged by tiles or wooden floors. Lastly, rug padding also helps in preventing various forms of water damage to your precious rugs. This type of rug padding does not stick with the rug or the floor, making it suitable for virtually every type of flooring, and it's also easier to use as we simply need to place it under the rug without much fastening. We provide rug padding of this type that boasts extreme quality and is not affected by changes in temperatures, particularly in the summer. We can also sew this kind of rug padding to the back of the rug if needed so that it doesn't move around in areas with traffic. This is usually used for machine made rugs, but it can be used for hand woven area rugs as well. When installing this, we measure the size of the rug before unwrapping the padding, sticking it to the floor and adjusting its size as needed. This kind of padding can also be sewed at the back of the rug which, can prolong its life. Whichever the case, we provide only the best rug pad installation service for each of your rugs. 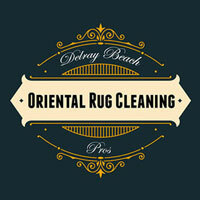 We have employees that were specifically trained to do this job well, so you'll know your rug is in good hands. We also provide customized rug padding according to the size, shape and material of your rug – our focus is not only on functionality but also on match your rug to the padding, ensuring that it does not seem out of place when attached. Furthermore, if needed, we also make sure that the padding is properly sewed to a valuable rug so that subsequent removal or replacement does not damage the area rug in any way. Although ornamental area rugs are used to beautify a room, they are still laid in high foot traffic area much of the time which makes them prone to damage and deterioration of the fabric. One way to make your rug last longer is by adding a layer of padding underneath it – this helps decrease the effect of stress on the rug's fibers, especially on Oriental or Persian rugs made from silk and camel hair, and it also provides an extra layer of protection to your floor. Choosing the right rug pad is no trifling matter, however, especially when talking about expensive area rugs. We have many different kinds of padding that can be added to your rug according to its highly specific needs. If your rug is made up of a delicate fabric, it's always advisable to select a thicker layer of padding – this way, your rug can support heavy decorative pieces and furniture without experiencing any permanent marks. If you have tiles as your flooring of choice, padding can help make your area rug non-slippery to walk or step on – padded rugs are also easily moveable if you wish to replace the position of your furniture or heavy decoration pieces. Our professional employees will guide you regarding the type of padding you should be using depending on your exquisite rug, and we will always ensure that the rug padding is made from top-quality material so that it lasts a long time and doesn't damage your precious rug in any way, shape or form.